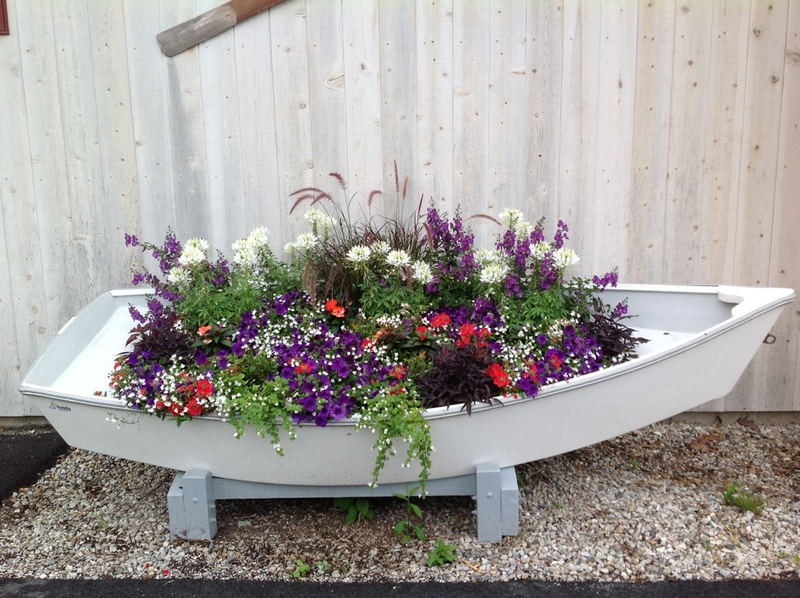 This entry was posted on July 10, 2013 at 9:00 pm and is filed under annuals, annuals, container gardening, container gardening, landscape design with tags annuals, annuals for containers, container gardening, Falmouth Foreside Maine, Falmouth Maine, Handy Boat Marina. You can follow any responses to this entry through the RSS 2.0 feed. You can leave a response, or trackback from your own site. I was just thinking about you today and wondering if you were in Maine yet, and here’s my answer. Any chance of you getting over to the mainland? I’ll be here 5 more weeks before I have to head back to PA in August one last time. Sure, Sounds like fun. Let me know if it pans out. All your advice is really helpful. I’m not that good a designing pots well, and I don’t think ahead. My pots of lilies were lovely this year and the winter pots were good but now, they are sad looking things. Yes, Carolyn…..good thought. 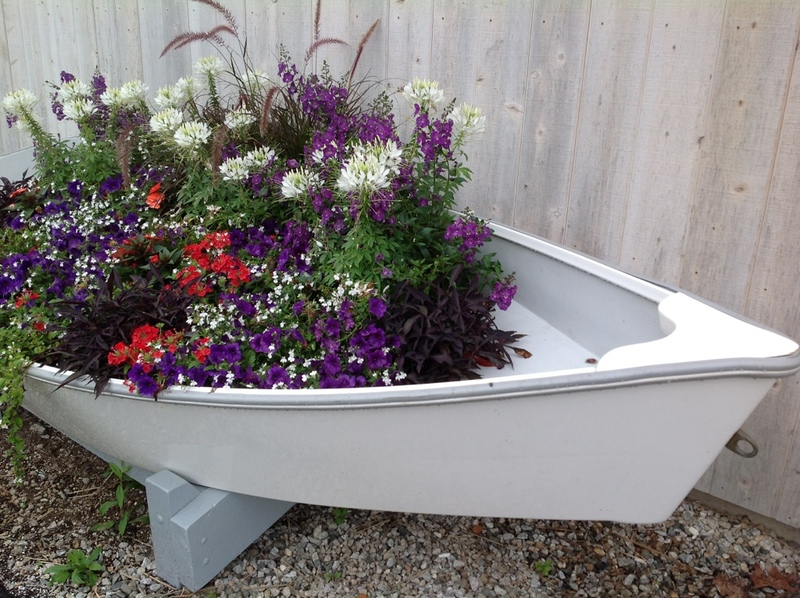 For those budding gardeners insecure about their abilities to make great plant combinations in their garden beds, containers are a perfect way to play around and build confidence. Visiting a good retail nursery that sell ample varieties of “premium annuals” allow you the opportunity to just gang different combinations together. You can do lots of trial and error combos until you feel you’re ready to take them home for your pot (or creative planter) at home. Oh my word! How beautiful! The colours are so perfect together! I just love what you did here! 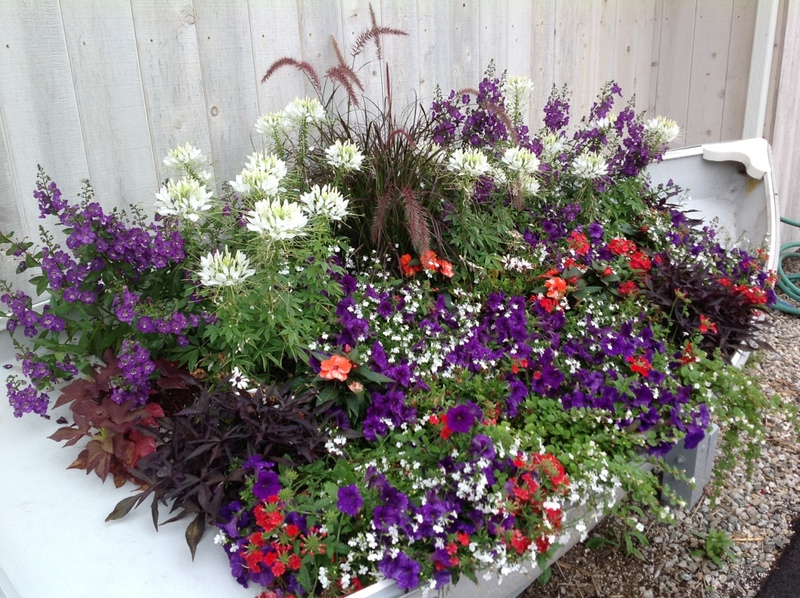 I like using larger, unusual containers for annuals. 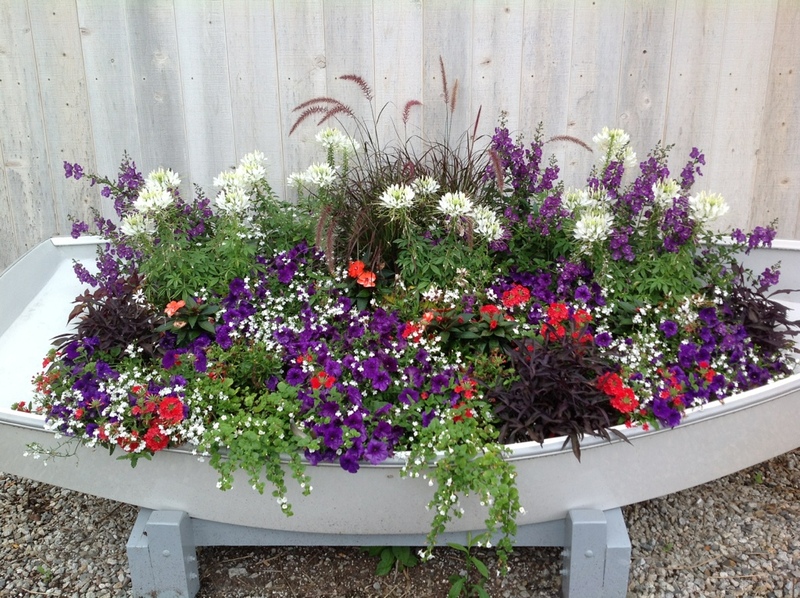 I have an old wheelbarrow that I repurposed as a planter and it works well. 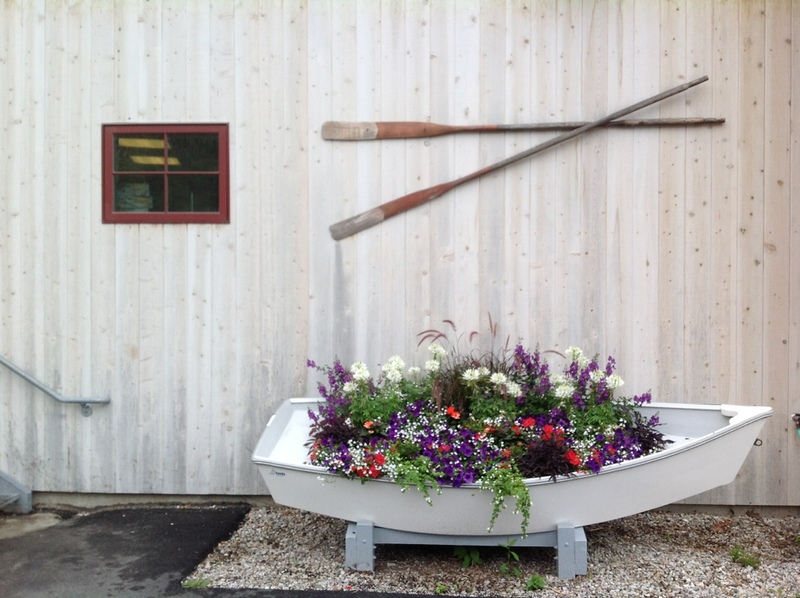 I like the boat planting. They did a nice job again like last year. Hope you are having a good time. I may have to steal this idea. What a fun, luxuriant arrangement! Thanks for sharing! Carolyn, I may be short of unusual containers but I share your enthusiasm for annuals which brighten up parts of the garden often before the Roses or perennials get going over here. 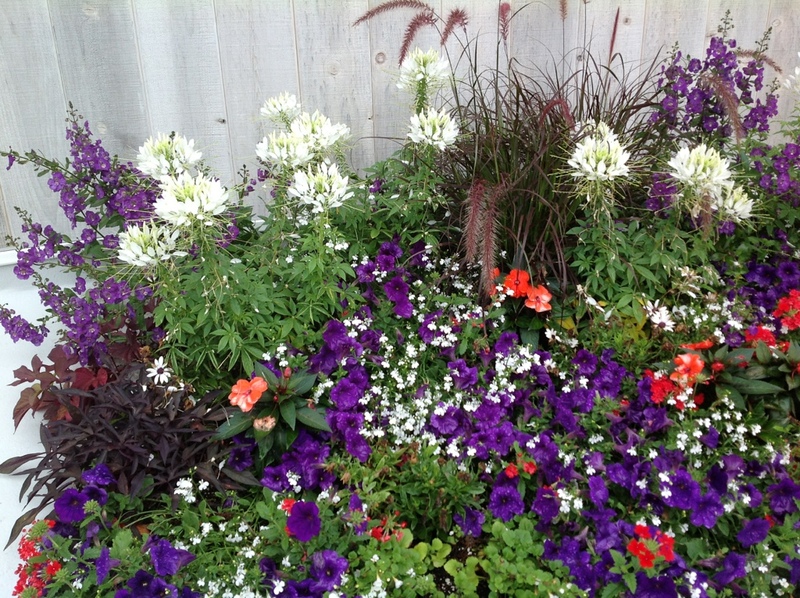 Good comment about not using skimpy annuals and then waiting for them to grow, a mistake I have made more than once! 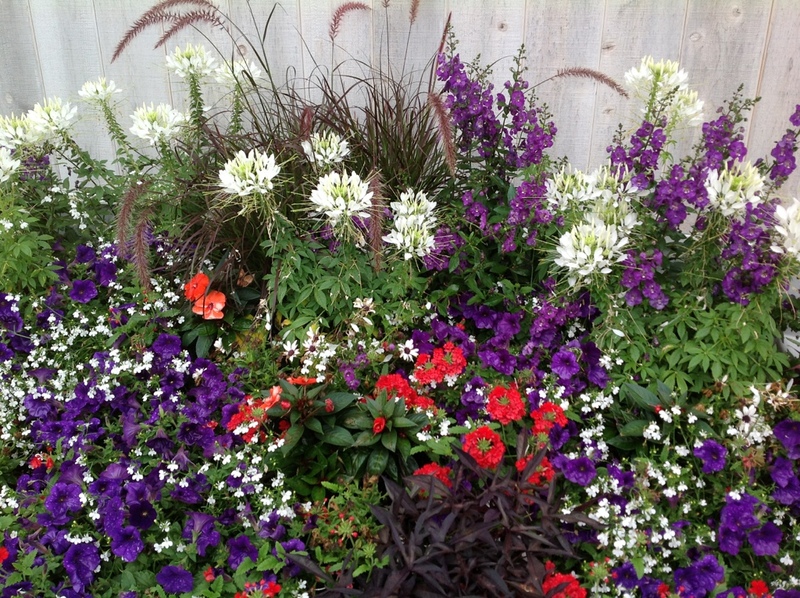 I love the combination of colors in this arrangement. This is the most beautiful boat I have ever seen!